I'm back with another dorm post with Caroline, Renee and Nicole! 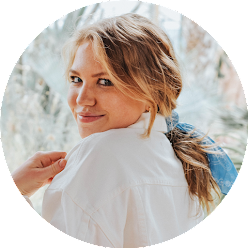 Today we are sharing part two of our three-day college collab, and today's post is all about what we have purchased so far for our dorm rooms! By now you're probably sick of me talking about my rug, so I'll share some deets on everything else I've bought. Bedding // When my roommate and I first began talking about our dorm and how we wanted to decorate, we immediately discovered that coordinating our bedding without completely matching was going to be the way to go. She ended up deciding on a grey/black patterned duvet, and I opted for the PB Teen pop dot duvet in black. I added a monogram in the middle for good measure, and I had actually wanted solid white bedding with a border and a monogram forever, so I was really excited that it worked out. As for my sheets, my mom found the cutest aqua elephant sheet set for me at TJ Maxx and I'm really excited about those! Our nightstands // Our dorm is tiny. Like, I know all dorms are small, but I have showed all of my friends the 3D tour of my dorm room, and my room is definitely the smallest of any of the others that I've compared it to. That said, my roommate got two of these bookcases and is adding a wooden top over both, leaving room for our mini-fridge in the middle underneath. We are going to put this little set-up between our beds and having the spot for the fridge will hopefully save a little bit of room. We also got the cutest pineapple lamps to put on top! As for other things I've purchased, I snagged this really cute and functional makeup organizer on sale at PB Teen and I'm excited to use it! I love that it matches my sheets and has a few compartments that I can put inside each other or leave apart. I also want to hang photos around my room and I love that these photo clips double as lights! They're USB powered so you don't have to worry about changing the batteries #bonus. I still have a ton to pick up for my dorm room, but since I fly out to school, I'm planning to get a lot of things once I'm actually in Pennsylvania. Any tips? 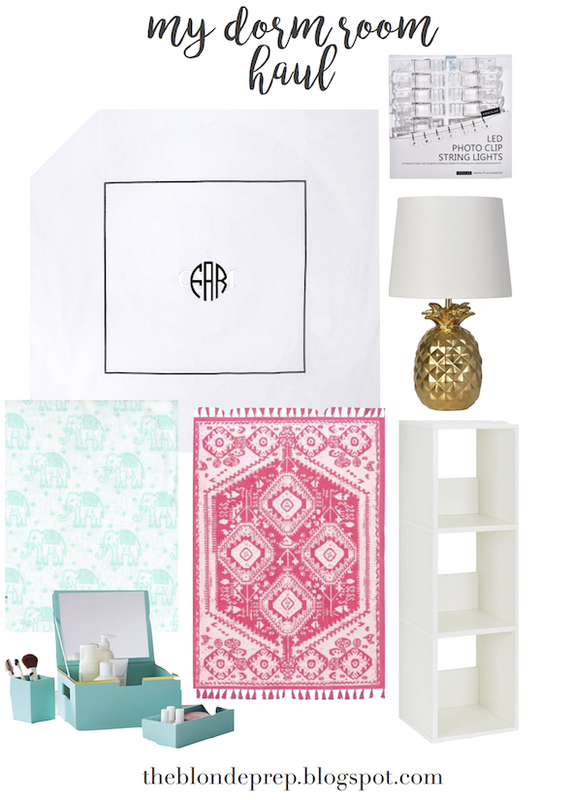 Don't forget to see what Caroline, Renee and Nicole have purchased for their dorm rooms too! PS- Happy birthday to my Dad today!!! I can't wait to see him in just nine short days in NYC!!! Ahhh, I am so excited for that trip that I can hardly stand it. Oh my gosh, all these items are too cute! Can't to see pictures of your dorm!